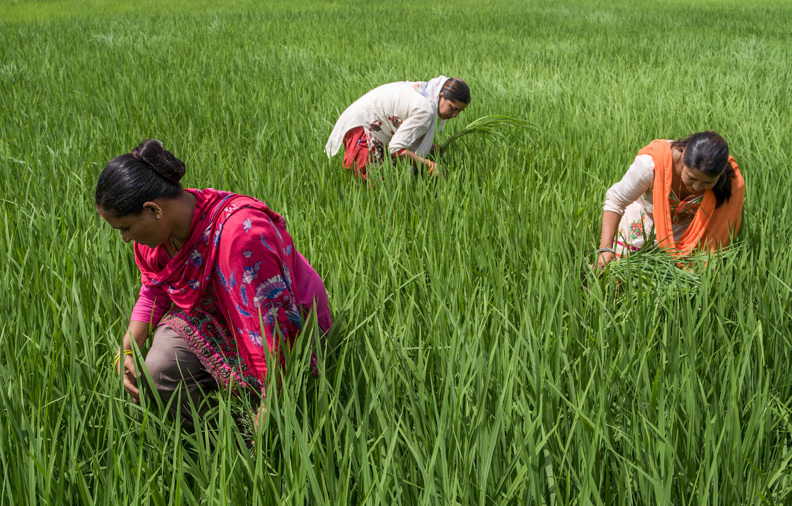 In Nepal, farmers learn a new way to grow rice. In the flat fields of Nepal’s southern Terai plains, only miles from the Indian border, small farmers like Ramawati Maurya have for generations grown the same variety of rice. “I was growing only coarse rice before,” says Maurya, during a break from pulling weeds with a group of fellow women farmers. 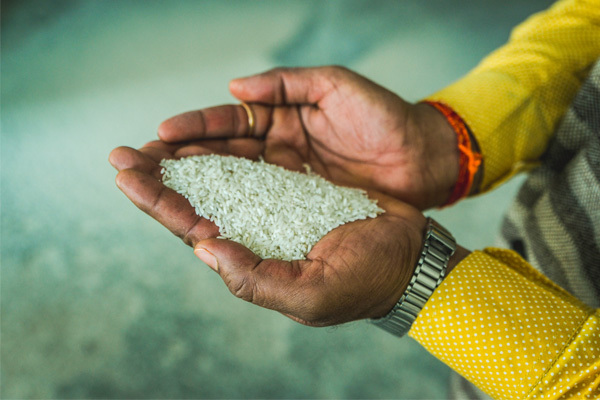 Coarse rice expands when it is cooked, so less of it can fill a hungry stomach — not insignificant in this poor, rural area — yet Maurya is one of many farmers who has begun growing medium fine rice instead of coarse. The reason: She is one of 1,000 small farmers in her area working closely with the nearby Dev Bhar Rice Mill. Women weed in a rice paddy. Dev Bhar is one of several rice mills in the area that has shifted to processing finer varieties of rice, responding to changed market demand. It’s a market shift that Winrock’s Feed the Future Knowledge-based Integrated Sustainable Agriculture and Nutrition project (KISAN), funded by USAID, has been all over. KISAN supplied Dev Bhar with a small grant to modernize its equipment and has shown the mill how to work closely with farmers to help them better manage their crops and increase yields. The mill almost doubled its processing capacity in two years and also drastically reduced the amount of fine rice it has to import from India, which represents a significant cost savings. Not far from Dev Bhar, the Shiva Shakti mill has also partnered with the project to better respond to market demand. Before it began working with KISAN, Shiva Shakti worked with 350 farmers and 50 traders. But now the mill works with 1,000 farmers and 50 traders who grow finer varieties of rice on a contract basis. One way the mill worked with farmers was to establish 50 shallow tube wells for irrigation, since the finer rice varieties require more water. These varieties are also more flood-tolerant (able to be under water for 18 days, rather than just two or three), which makes farmers happy when the monsoon comes. With KISAN’s support, the Shiva Shakti’s profit has increased by almost $30,000. 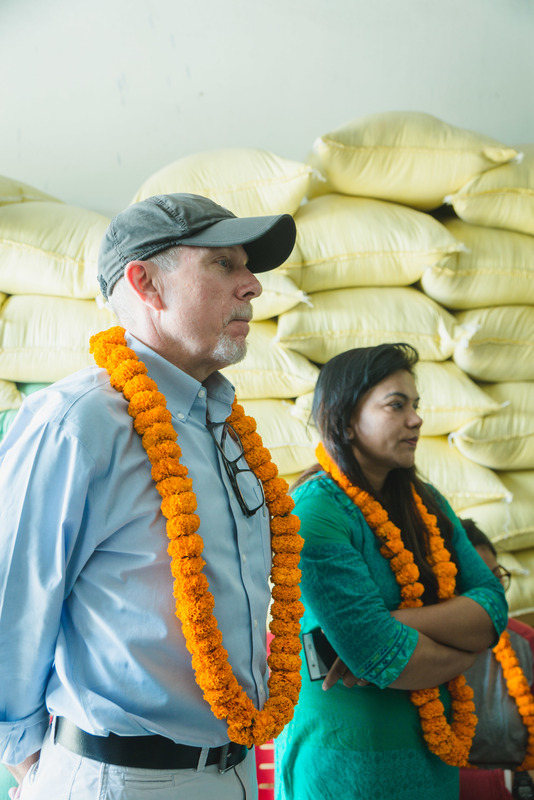 Checking bags of rice at the Dev Bhar Rice Mill. That was certainly the case for Maurya, who says she had never even heard of Dev Bhar before. 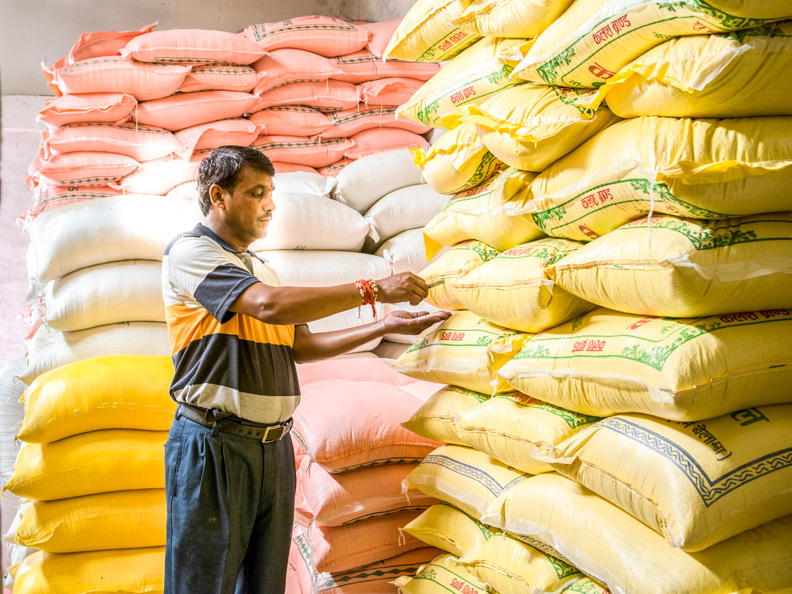 But thanks to KISAN, Dev Bhar now has an ongoing relationship with a large farmers group that consistently supplies the mill with fine rice to process and sell. Forging ties between local farmers and Dev Bhar is all part of the value chain approach KISAN has employed to build mutually beneficial relationships among a wide array of actors in Nepal’s agriculture sector — bonds that are driven by market demands and can be expected to endure long after KISAN is finished. What makes the relationship between Dev Bhar both unique and sustainable over the long-term is that it is a genuine partnership, rather than just transactional. Dev Bhar’s commitment to the success of local farmers goes beyond providing technical expertise. Importantly, it delivers a level of certainty to farmers, who know that they have a guaranteed market where they can sell their crop for a good price. But the mill also provides vital financial resources to the farmers so that they can plant their rice at the right time. 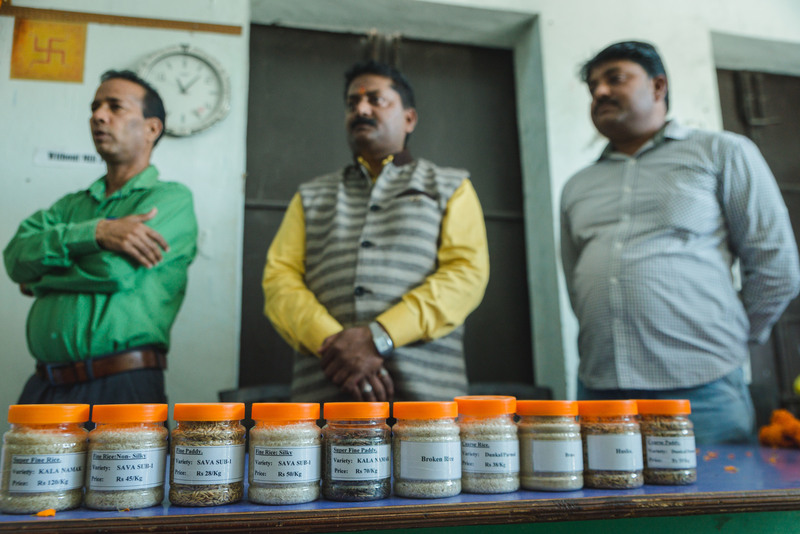 “The mill gives us small loans so that we can buy seed and fertilizer on time,” says Maurya.